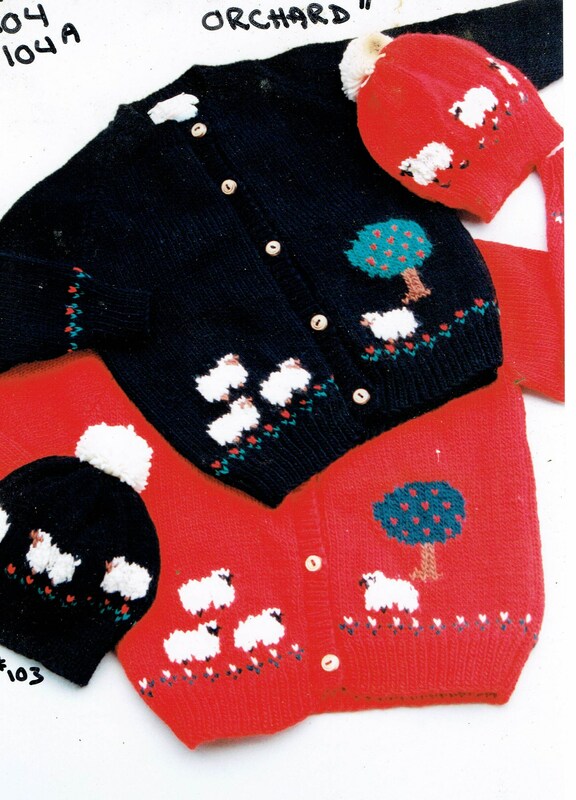 #104A Country's Child knitting pattern SHEEP IN THE ORCHARD for adults. Woman's sizes. Finished measurements 42-50 inches. Has button front with set-in sleeves. Knit with worsted weight size 4 yarn.